Released on 15 February 2019. Fixed issues with Adobe Acrobat Pro and Reader 2019 related to the “Save As” dialog displaying blank . • Windows Creator’s Fall Update is now supported. • Made improvements to ForceFolder including adding support for “Open With” dialogs, and running registry files. • Fixed licensing issues causing MS Office applications to crash after 5 minutes. • Fixed Firefox/General Drag-Drop issues. • Fixed Save/Recovery issues for Adobe/MS Office. 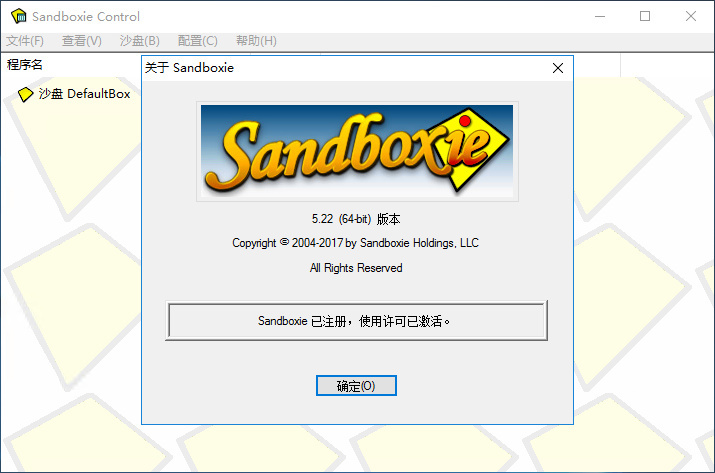 • Fixed an issue in which Sandboxed Internet Explorer proxy settings would modify the registry on the host. • Added/Updated templates for AVG, BitDefender, Babylon and Opera. • Implemented code fixes to address “SBIE2101” issues caused by Windows Defender “App & Browser Control” in Windows 8.1 and 10. • Implemented a driver fix for a BSOD occurring when Webroot is installed and a new Sandbox is created while a ForceProcess is started.